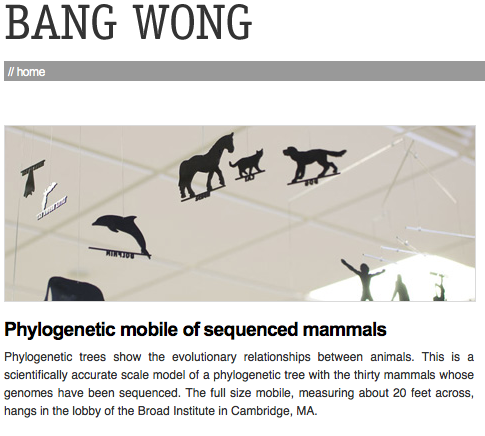 Bang Wong’s work focuses on the visual expression of scientific concepts. He is currently the creative director of the Broad Institute of MIT and Harvard and an adjunct assistant professor in the Department of Art as Applied to Medicine at Johns Hopkins University School of Medicine. In 2001, Bang founded ClearScience, a design firm that concentrates on the visual communication of science. Bang’s lecture will be on Saturday 5th of February at 18.00 in the Dalhousie building. This entry was posted in essential, master of design programme. Bookmark the permalink.